Off-road trucks aren’t the first thing to come to mind when you’re thinking of a Lexus. But let’s not forget that Lexus is owned by Toyota who makes some of the most popular 4WD’s in the world, including the Toyota Land Cruiser Prado. A smaller and more affordable Cruiser, the Prado has been a huge success overseas and has proven itself to be a capable platform in a wide variety of environments. Unfortunately due to the massive popularity of the 4Runner in the United States, Toyota chose to reserve the Prado line for different markets…sort of. It did in fact hit our shores but in the more expensive, and luxurious form of the GX470. Bundu Gear has taken this truck from an every day soccer mom transporter and transformed into a well equipped off road vehicle. In order to improve clearance and ride comfort, they installed a 2 ½ inch lift with Icon Vehicle Dynamics front coilovers and rear shocks. The rear air bags, which have a reputation for being unreliable, were then swapped for Ironman 4×4 rear coils. Protection was next on the list with an Ironman 4×4 front bumper with a 9,500 lb winch and custom rear bumper, which have been painted Sand Dollar Pearl to match the rest of this fantastic looking truck. In case you find yourself cruising in someone’s dust or fording deep water, an Ironman snorkel was installed to keep clean, dry air flowing to your engine. 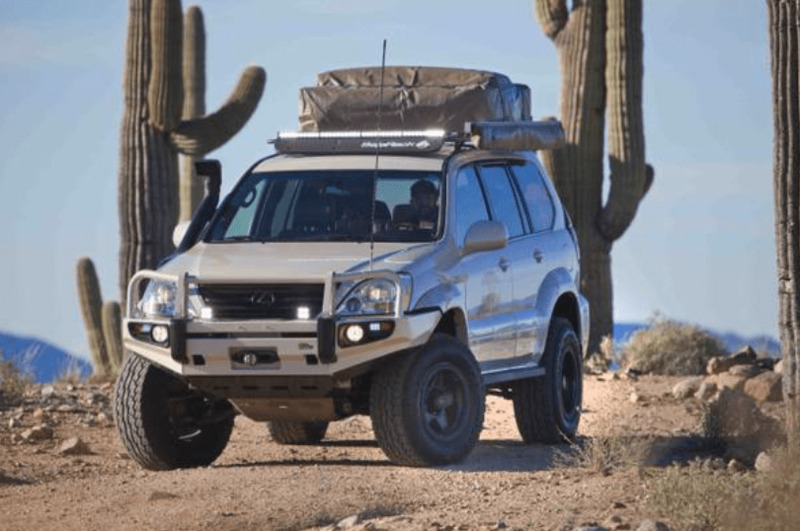 This Lexus has also been protected with a full Asfir underbody plate kit and custom sliders so that when the trail gets tough, you don’t have to leave any unwanted souvenirs behind. 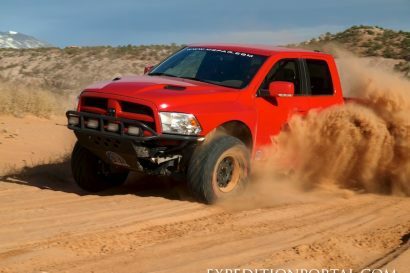 Finally, for extra storage a full length Baja rack was installed before being outfitted with a 40″ Baja Designs light bar for clear long-range visibility on the darkest of nights. 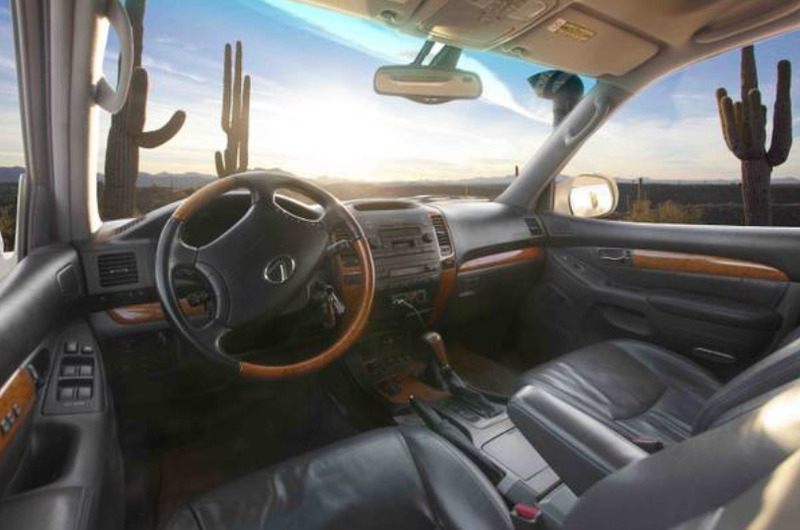 If you’re looking for a vehicle that delivers serious performance in a luxury package, the Bundu Gear Lexus is the truck to see. I am going in for a bit of a change and after a pretty short time, the Bundu Gear GX470 is for sale. It’s just time to make a change, and someone is going to get a beautiful and under-used, fully built rig. This has proven to be my dream rig, and I hate to see her go, but recent change in direction means we need to move on with other projects; since it is half the fun! Interior in very good condition. Some minor wear on drivers seat but no cracking or tears. All other seats in excellent condition. Comes with 3rd row seats. All round very good condition. Has been an CA interior and AZ car its whole life. 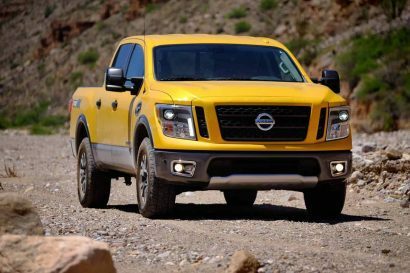 Iron Man 4×4 Rear coils have replaced troublesome airbags. 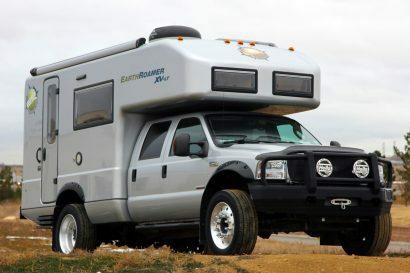 images show awning and rooftop tent which are NOT included in sale. Signage will be removed upon sale. Sale will NOT include the fridge/stove slide system of Bundu Box drawers system. Timing belt, water pump, alternator major 100k mile service has been done at around 120,000miles. This vehicle is super reliable. 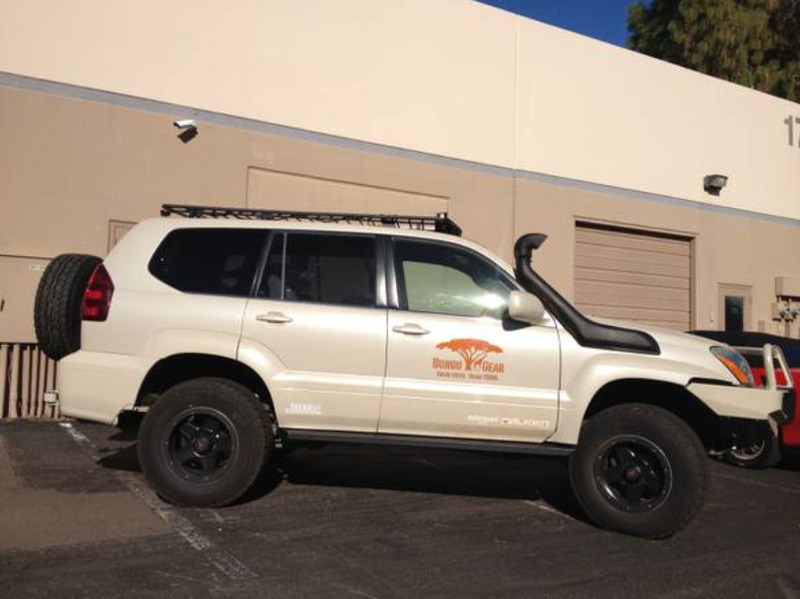 All installations done by Sierra Expeditions, and recent maintenance and major service done by All-Town automotive in Tempe, AZ.